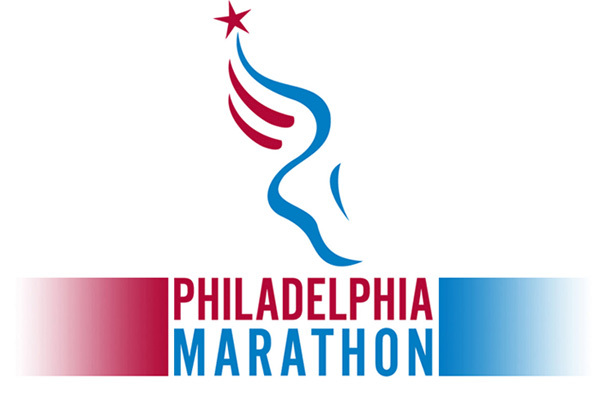 The Philadelphia Marathon (and the not-too-shabby-if-you-ask-me Half Marathon) are coming up on Sunday! 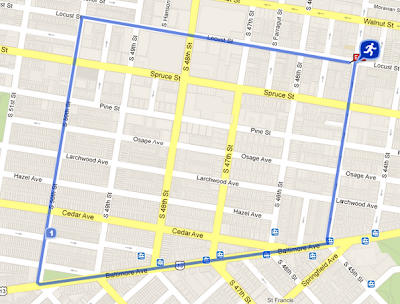 West Philly Runners will be there both running and cheering our butts off. Afterwards, we'll be getting together to exchange tales of running heroism and talk about the top notch people watching that goes along with this amazing annual spectacle. Check out all the details below. WPR Marathon Cheering Squad. November 18 at 7:45-10am at at the Mile 10 marker at the West Fairmount Park Civil War Memorial. Not running the marathon, but want to be a part of it? Come cheer with WPR at the Mile 10 marker. The runners will have just finished a rough hilly section and will really appreciate our support. Here's the course map. Philadelphia Marathon After Party. November 18 at 1pm. 418 South 43rd St. Paul has offered up his place for a lighthearted post-race party on Marathon Sunday. The party will coincide with the Eagles game and will start late enough to give everyone a chance to go home and clean up post-race. Paul will have pizza and beer on hand, but it is always great to bring stuff over if you feel like it. Good luck on race day! 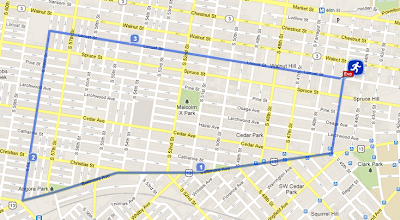 *Note: I accidentally routed all the runs to end at 45th & Locust. 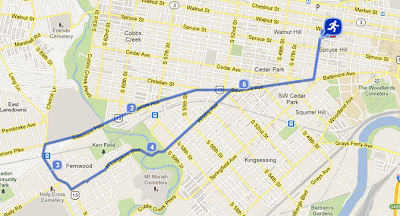 We will actually run past to 40th and Walnut and end at City Tap House. Sorry for the confusion.